SHERWOOD — It's said that baseball can be a game of inches. Well, that certainly seemed to be the case at Sherwood on Friday. 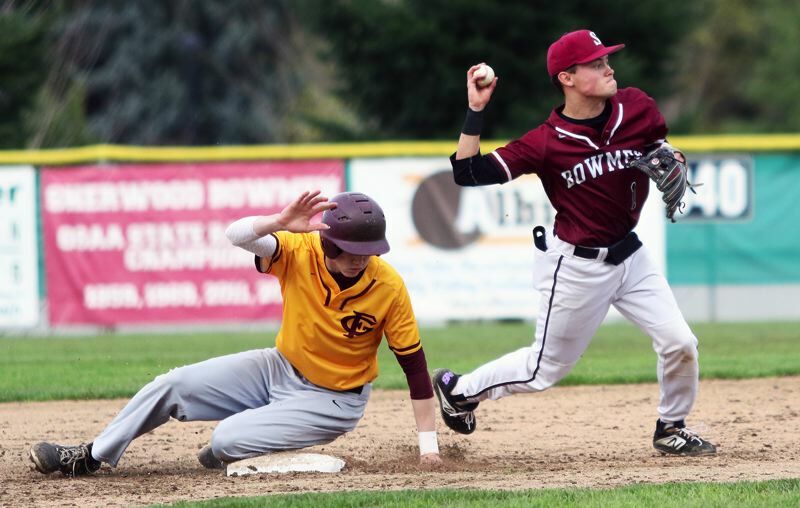 Forest Grove, with junior right fielder Rhett Larson making a sprinting, run-saving scoop catch — while also avoiding a pair of his teammates who were also running to the ball — held on to get a 4-3 win over the Bowmen in a Pacific Conference game played at Sherwood High School. "I was just running as fast as I could, trying to catch the ball," Larson said after the game. "I thought it dropped in," said Sherwood senior Harrison Goyette, who was on third base, representing the tying run, when Larson made his game-ending catch. With the victory, Forest Grove improved to 2-3 in Pacific Conference play (5-5 overall), putting the Vikings in fifth place in the league standings. 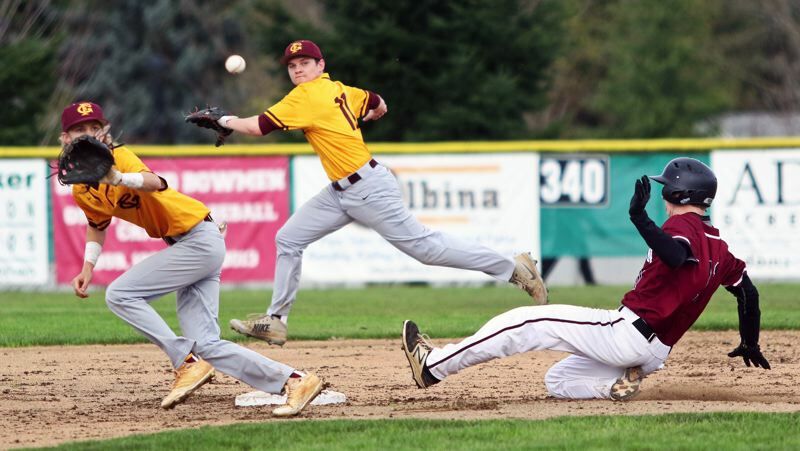 The win also ended Forest Grove's two-game scoreless streak. "It's a pretty big win," Larson said. "We were 1-3 and hadn't scored a run in the past 20 innings, so it was nice to have the bats come around. The sticks really turned around today." 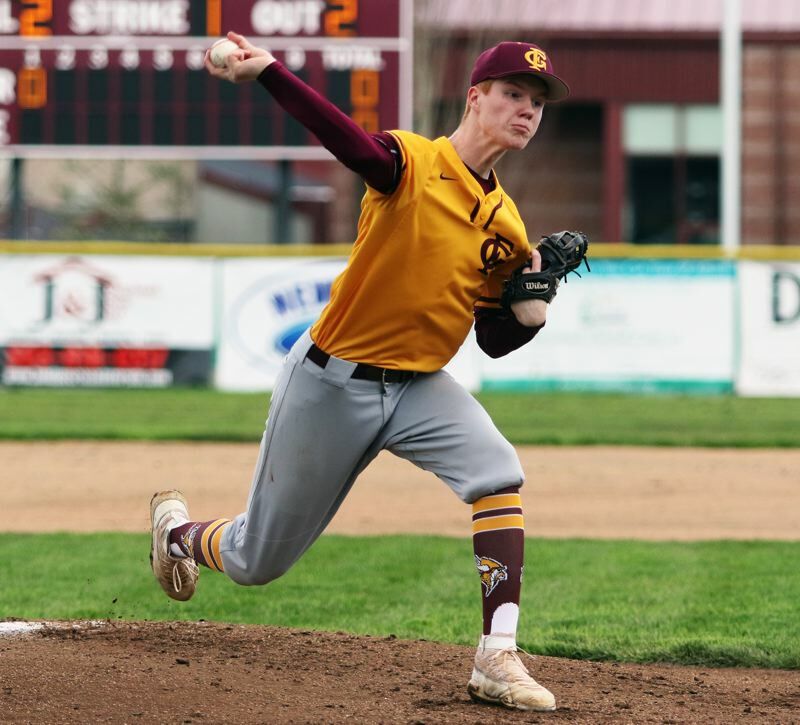 "This is pretty big, especially after the last few games we played," said Forest Grove junior Tanner Nelson, who turned in a complete-game pitching performance in the win. "We just upped the intensity. We've had good pitching, and we continued that today, and our bats heated up." 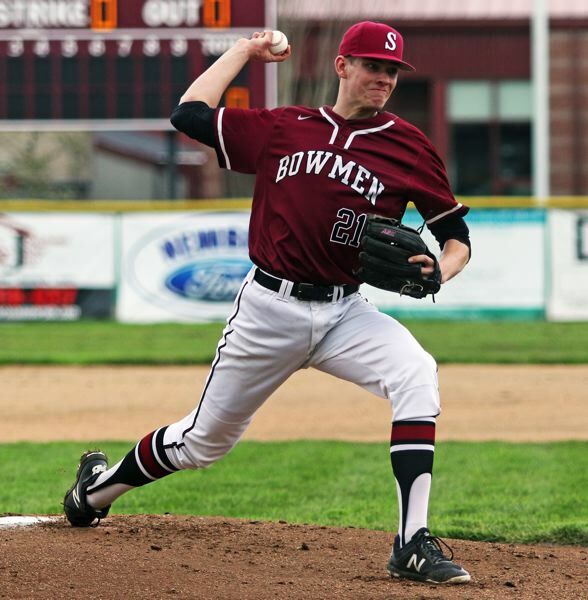 Sherwood moved to 1-1 on Pacific Conference games (6-5 overall), putting the Bowmen in fourth place in the standings. "It didn't go in our way today, but we'll come back," Goyette said. "It was close. We had big energy at the end. That was good." 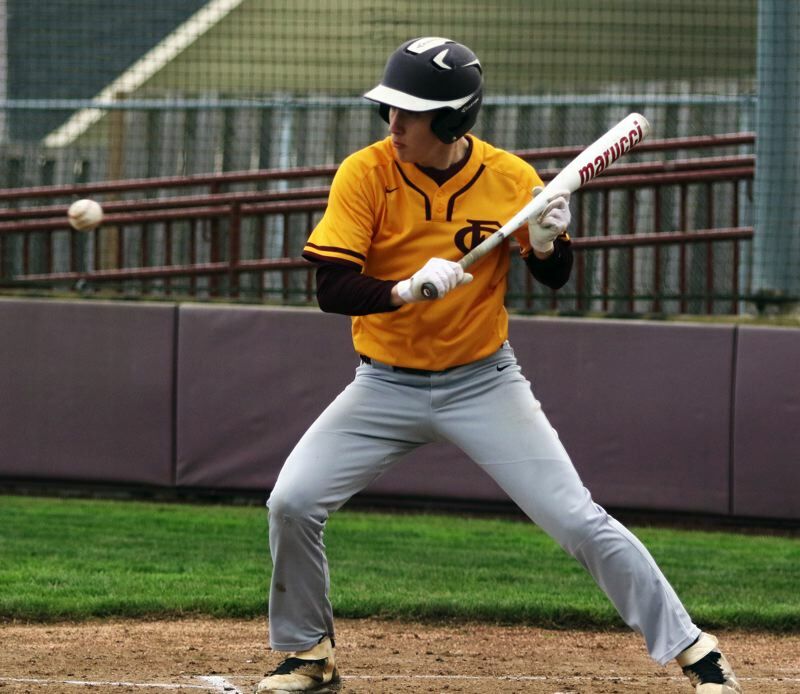 Forest Grove ended its scoreless streak by getting a run in the top of the second inning of Friday's game. Nelson, leading off the frame, reached first base on a Sherwood error. Viking freshman Brendan Couture followed with a single to right field. 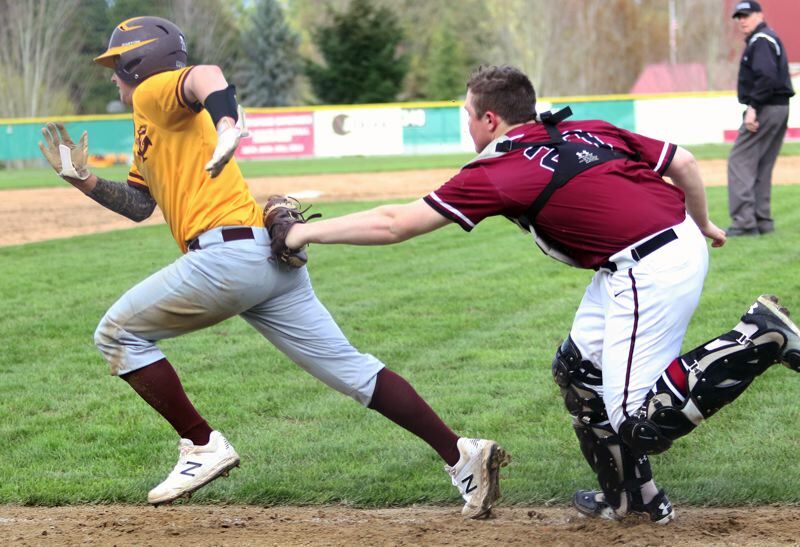 Then, following a fielder's choice grounder, Larson laced a single to right field, driving in Couture, giving Forest Grove a 1-0 lead. Sherwood answered right back with a run in its half of the second. Senior Sage Dunaway, leading off the inning for the Bowmen, singled to right field. He then stole second base. Senior Noah Beeks followed with a single to right field, with Dunaway sliding safely to home plate on the play, tying the game at 1-1. 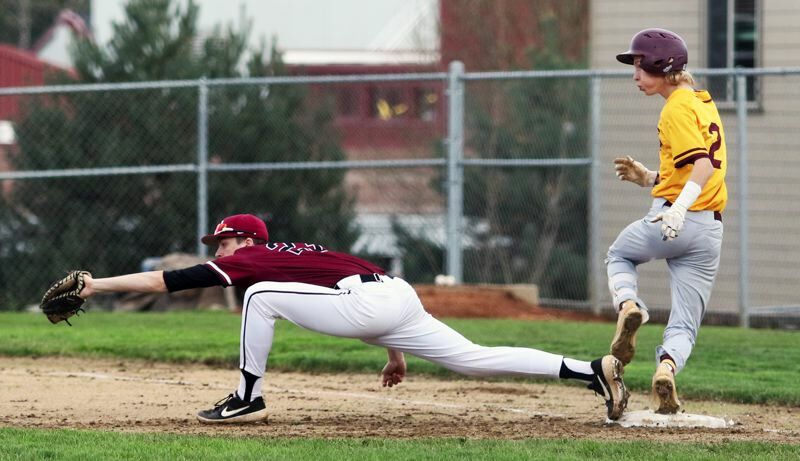 But Forest Grove would regain the lead in the top of the third inning. Junior Max Richards, leading off the frame for the Vikings, singled to left field. Richards then stole second base and moved to third on a single by senior Henry Tonges. Nelson then struck out, but he reached first base on a dropped third strike, loading the bases with no outs. Couture followed with a double to deep right field. Richards and Tonges both scored on the hit, giving Forest Grove a 3-1 lead. Two outs later, junior Trevor Parcels reached on a Sherwood throwing error, with Nelson scoring on the play, upping the margin to 4-1. The Vikings, behind Nelson's pitching, would carry their 4-1 lead to the bottom of the seventh inning. But that's when things got very interesting. "Dunaway, leading off the frame, walked on a 3-2 pitch. Beeks was then hit by a pitch. One out later, Dunaway stole third base and scored on a throwing error on the play, making the score 4-2. Goyette, who lined out to deep center field in his previous at-bat, then ripped a single to right, driving in Beeks, cutting the lead to 4-3. "No one was there," Goyette said of his opposite-field hit. Goyette then stole second base on the next pitch. He then moved to third when senior Ryan Sandilands flew out to deep center field. Senior Braden Thorn, at the plate with two outs, then hit a looping shot to shallow right field. It looked as if the ball had a chance to fall between Larson, first baseman Tonges and second baseman Parcels, but Larson came up with his running, scoop catch, securing the win for the Vikings. 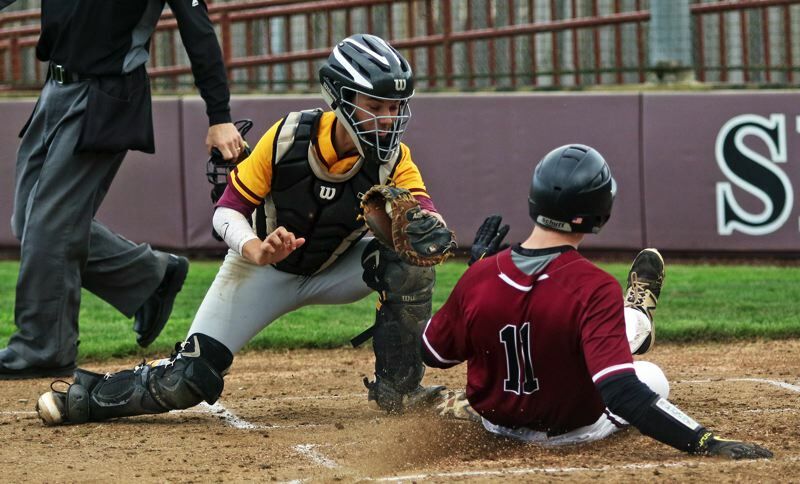 "I didn't communicate with the first baseman, and I thought we were going to collide, but, luckily, he backed off at the last second," Larson said. "When I put my glove out, I said, 'I got this.'" "I was scared someone was going to get hurt, but I was thinking, 'please, someone catch the ball if you get hurt,'" Nelson said with a laugh. Nelson, in getting the pitching win, gave up three runs on five hits, while striking out five and walking one. "I felt good today," he said. "My change-up was better. I need all of my pitches, and sometimes I don't have all of them." "Tanner has been awesome," Larson said. Couture helped lead the Viking offense, going 3 for 4 at the plate with a double, a run scored and two RBIs. Richards and Tonges each had two hits and scored a run. Larson had a hit and drove in a run. For Sherwood, Dunaway went 2 for 2 at the plate with a walk, two stolen bases and two runs scored. Beeks went 1 for 2 with a run scored and an RBI. Goyette went 1 for 3 with a stolen base and an RBI. Junior Joe Rea had Sherwood's other hit. 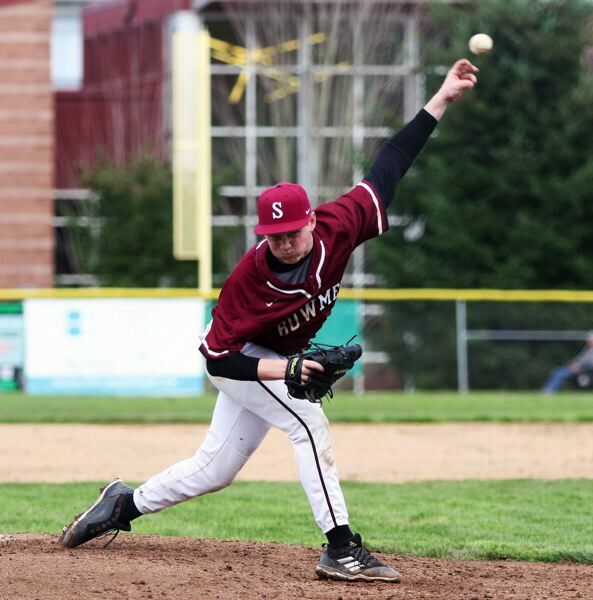 Freshman left-hander Ian Umlandt, pitching the final four innings in relief for the Bowmen, gave up no runs on two hits, while striking out three and walking two. "This shows that, if we get in a hole, we can come back," Goyette said. "We'll need to come out with a little more of a fire. We did come back, but we have to get going earlier. It was a close game. It was good." The teams will finish their three-game series on Monday with a 5 p.m. game at Sherwood High School. 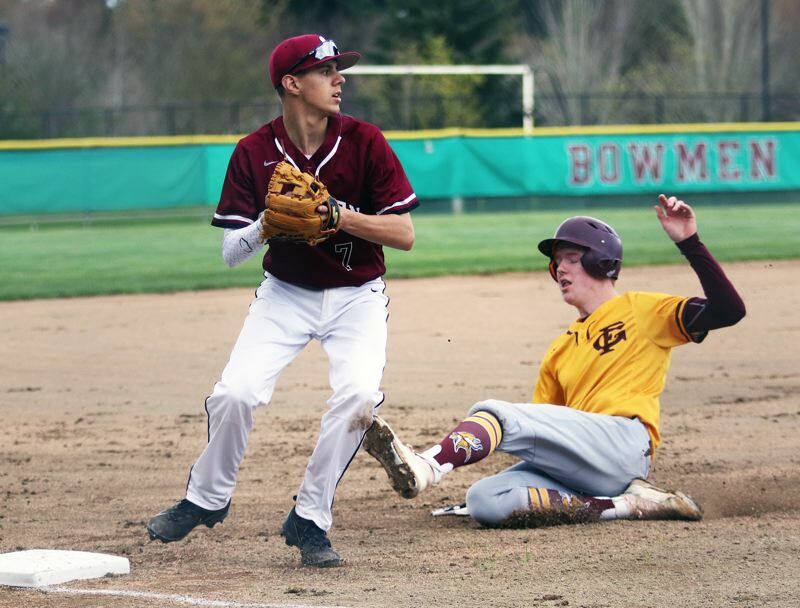 On Tuesday, Forest Grove will face McMinnville in a game starting at 4:30 p.m. at Patton Middle School. Sherwood will host Newberg at 5 p.m.